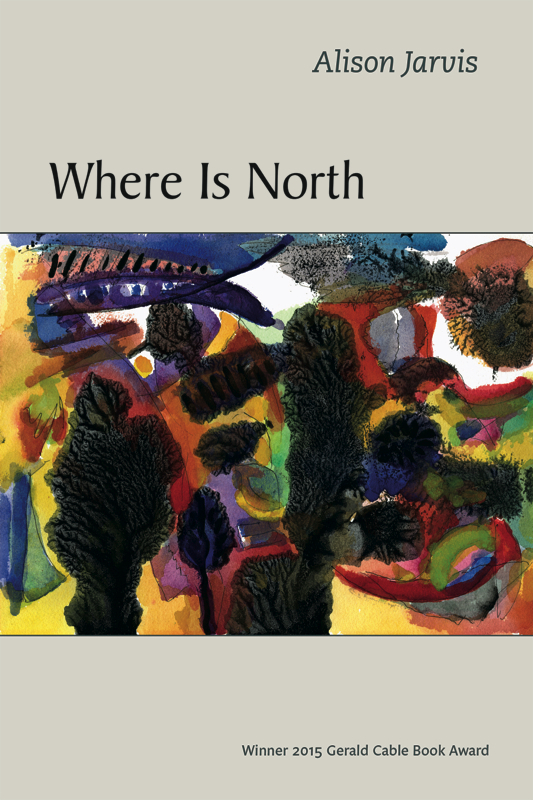 In Alison Jarvis' extraordinary Where Is North, a life unfolds between breath-taking love poems. There's a powerful arc, but it's a vortex, more visceral than linear. Dramatic moments enclose each other like Russian dolls, "the future falling back into itself," so that the air between I and Thou becomes charged with the trials of childhood, the rigors of history, the mirror-life of dreams. The touchstone of Jarvis' vision is: love is action. A stunned bird must be saved and its plight calls into question past and future; children dive into a river to save a father drowning in alcohol; the cello and paintbrush inform the space between a man and a woman. Hannah Arendt claimed that every action, even the most infinitesimal, lasts forever and transforms itself in a cascade of unknowable consequences. The world that idea suggests would be daunting and fascinating. Jarvis inhabits it. If the contemporary poem sometimes tropes toward the ironic comment, the disembodied voice, these poems live in the world and the body. They play for the highest stakes: the moment when two people know actually each other, when the scenery is real, when choices are absolute and absolutes are finite, when "we map our love with loss." Where Is North has a vast canvas, from Itasca to Istanbul. But this isn't a travelogue. Jarvis has an uncanny eye for the ways human pride, work, and sheer cussedness give our lives their edge. An old man in the Dakotas wears "a striped shirt so crisp there's still the iron's hiss on it," a woman giving birth says, "I took my time//and made myself up,/layers of waterproof mascara.//When I cried--bearing down, pushing out/the next life//I wanted to look like myself."